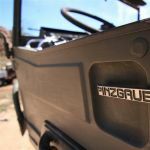 Wheel Powder Coating in Phoenix Area - THE PORTAL HUB - Pinzgauers, Haflingers, Volvo 303s and more! Can anyone recommend a reasonably priced powder coater Phoenix area? I would like to get my transit wheels powder coated. New owner of Swiss 1975 712AMB. I have always used Arizona Powder coating for my powder coating needs. Always happy with their work.